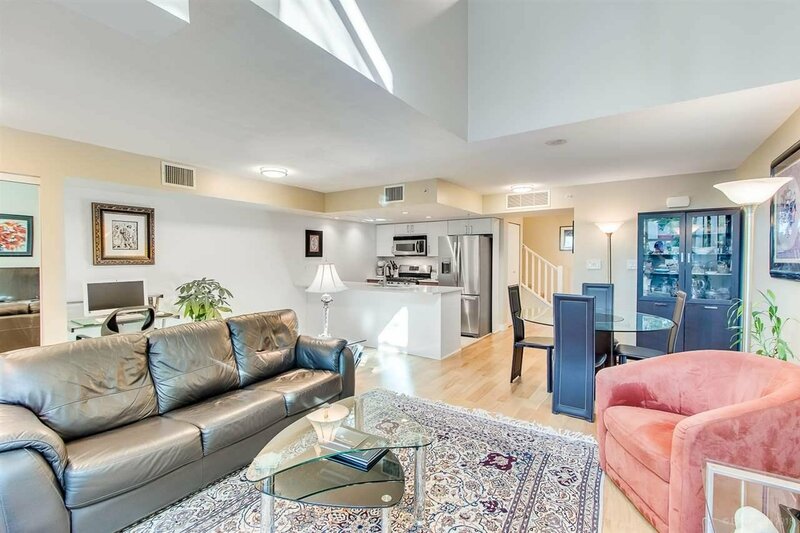 South facing concrete townhome with LOFT ceilings and a large patio! 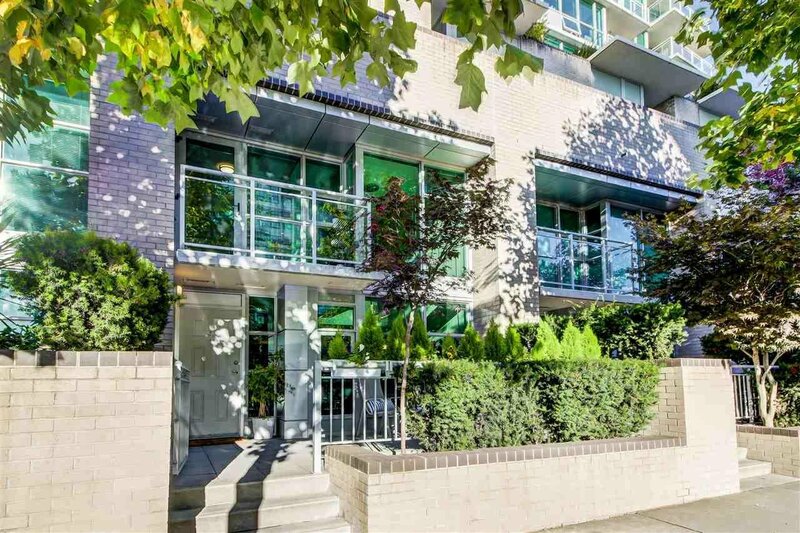 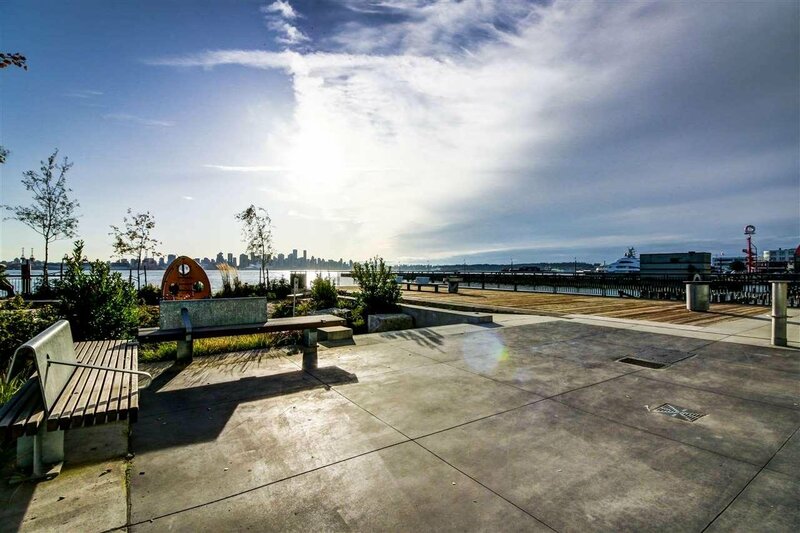 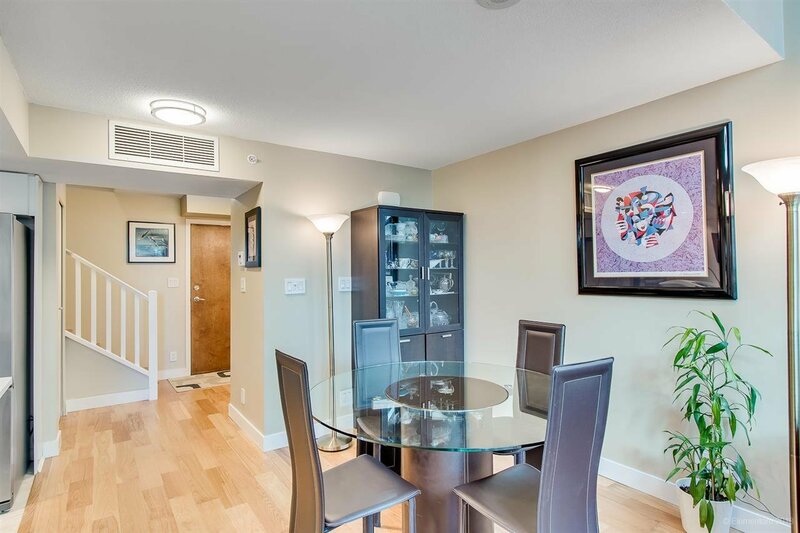 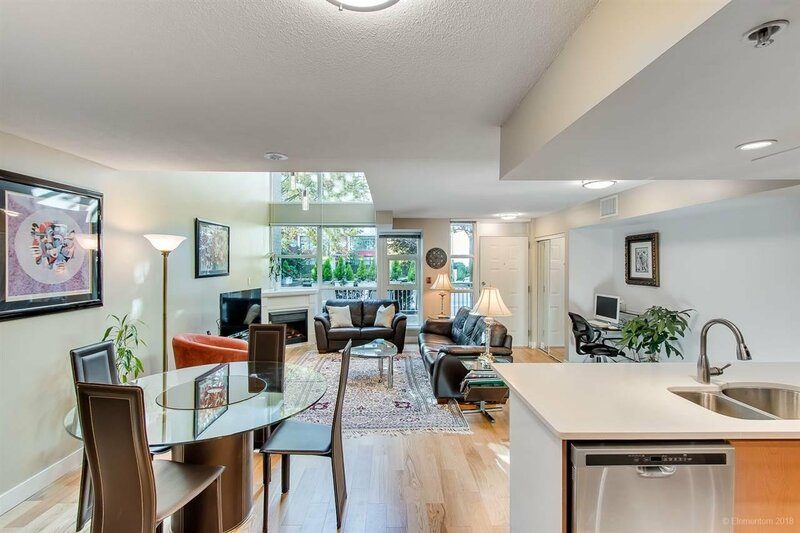 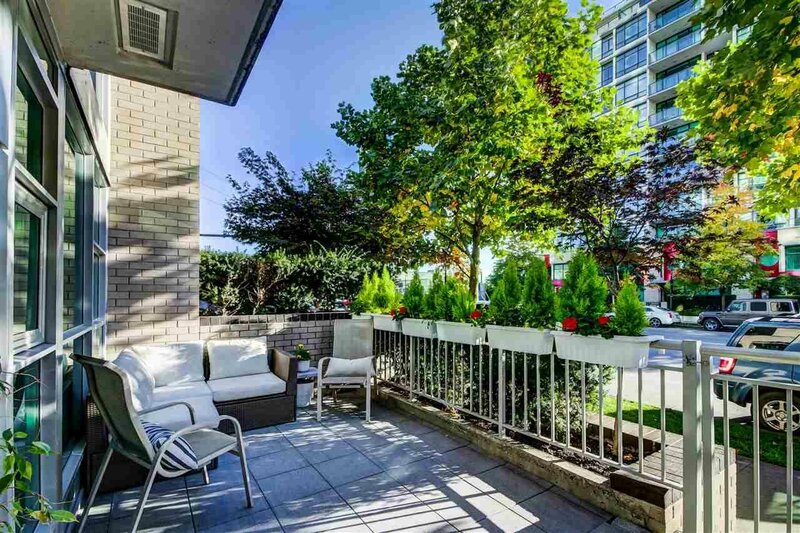 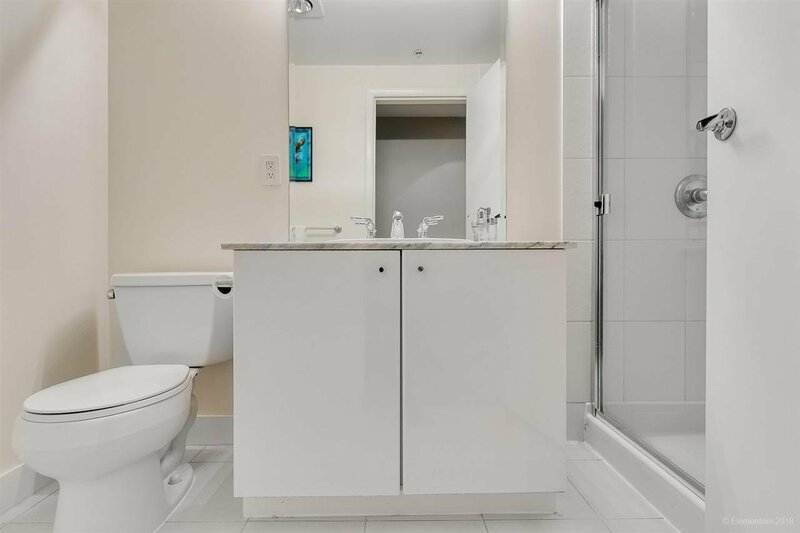 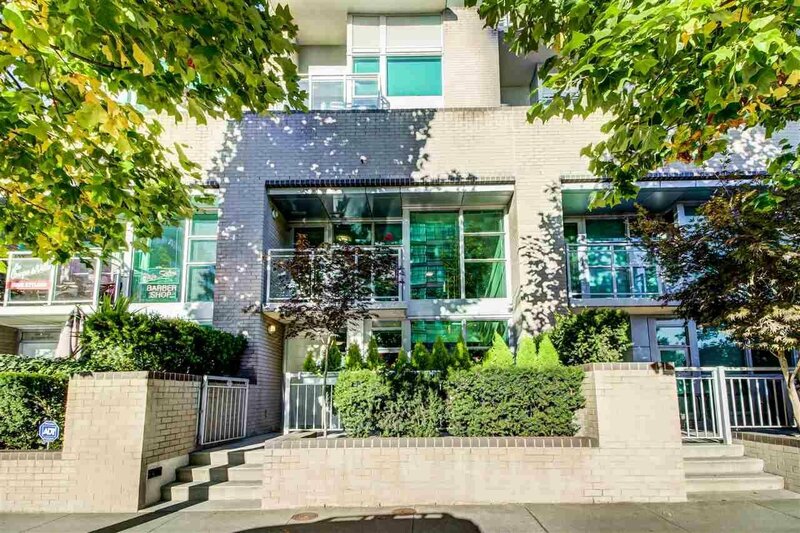 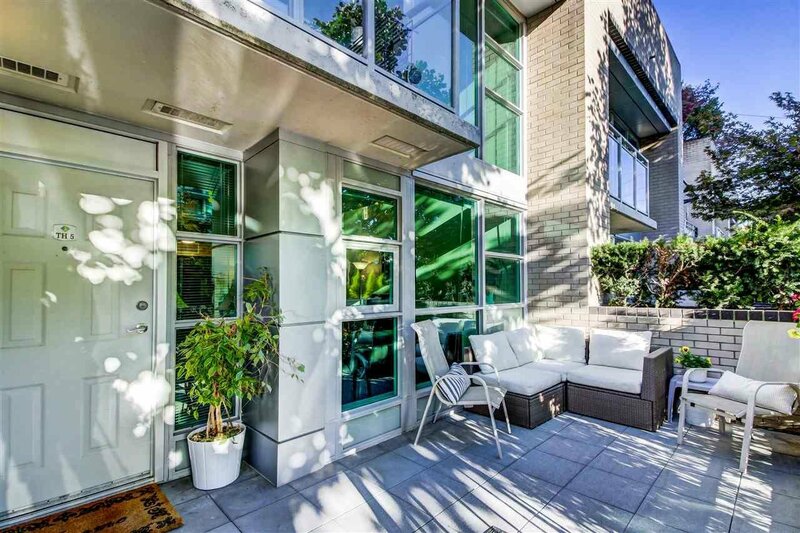 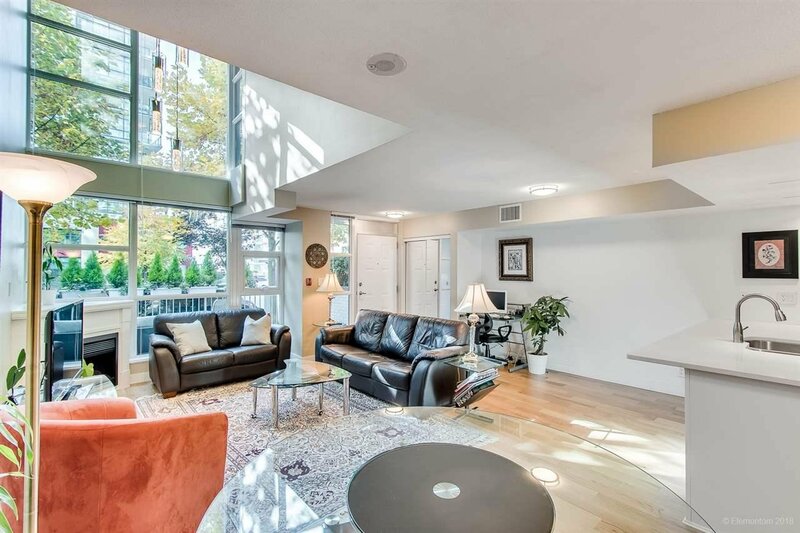 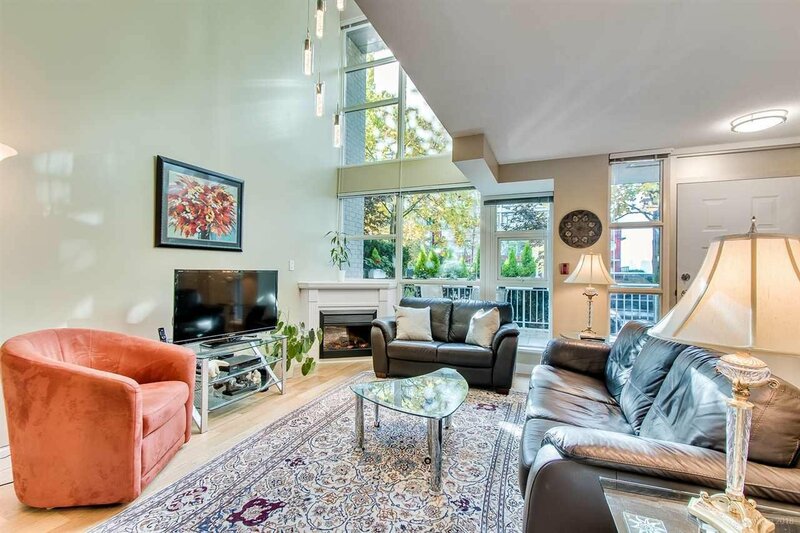 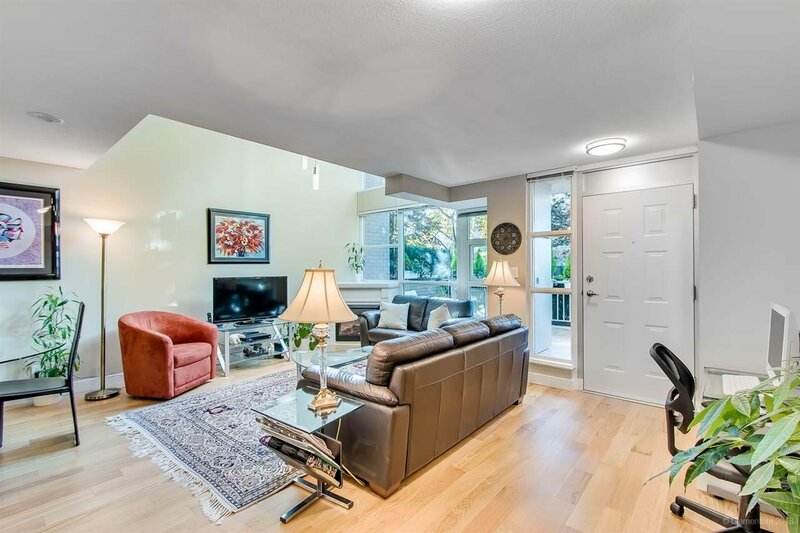 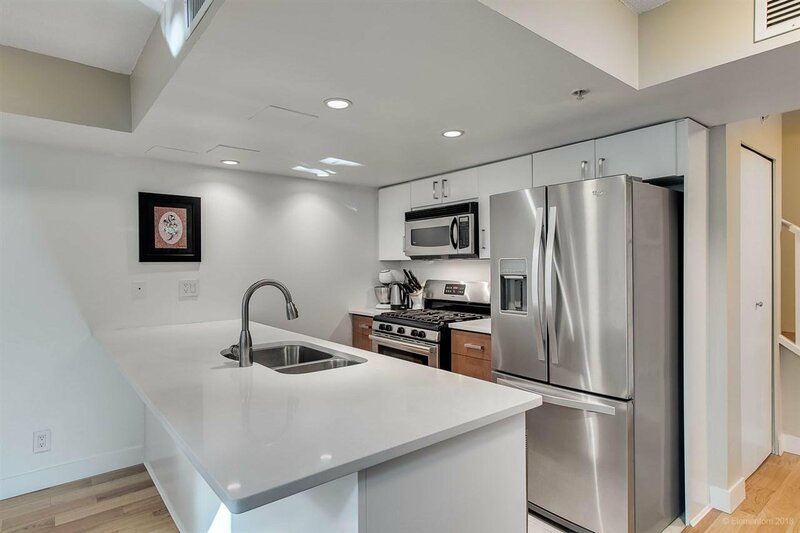 2-bedroom, 2.5 bath, located across the street from the waterfront in vibrant Lower Lonsdale. 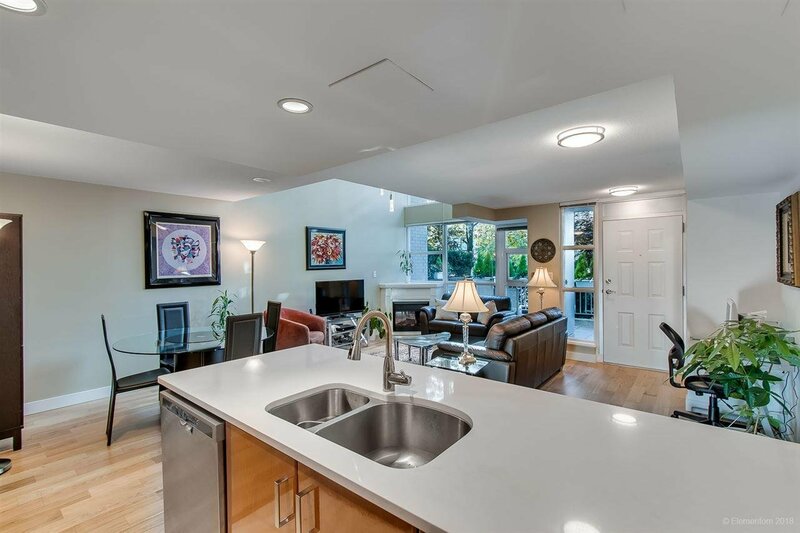 This spacious 1120 sqft home features Air Conditioning, quality new floors, new kitchen counters, and new appliances. 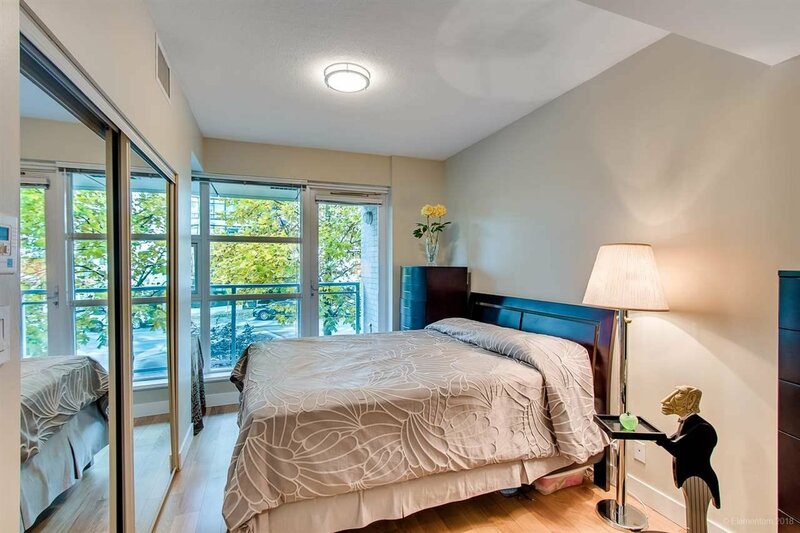 Scenic corridor ocean and city views from the patio off of the master bedroom. 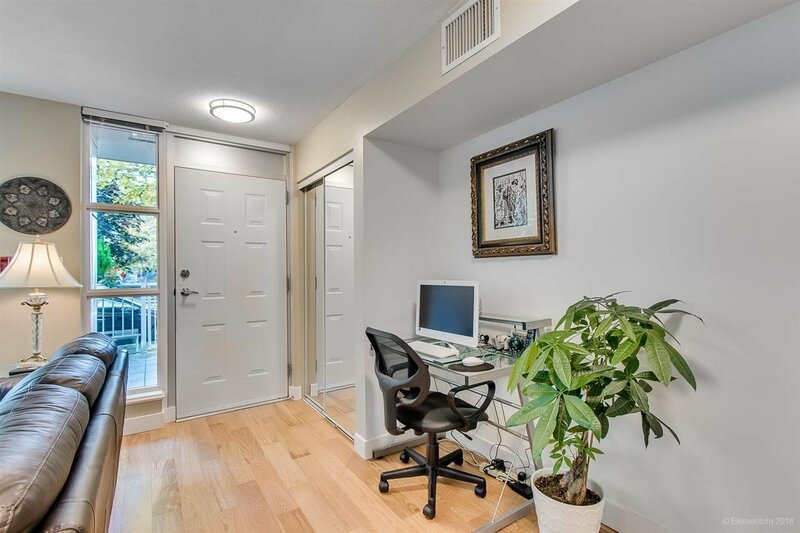 LIVE/WORK zoning with low maintenance fees. 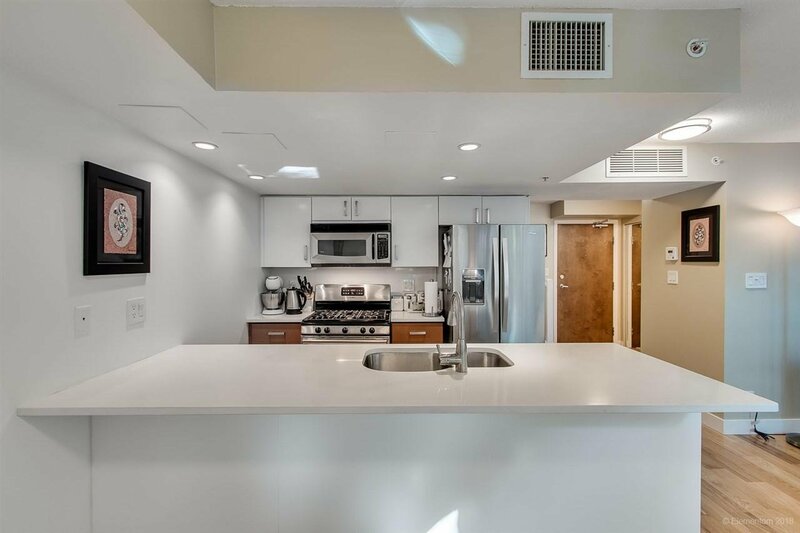 1 parking stall, visitor parking, 1 storage locker, and free street parking out front. 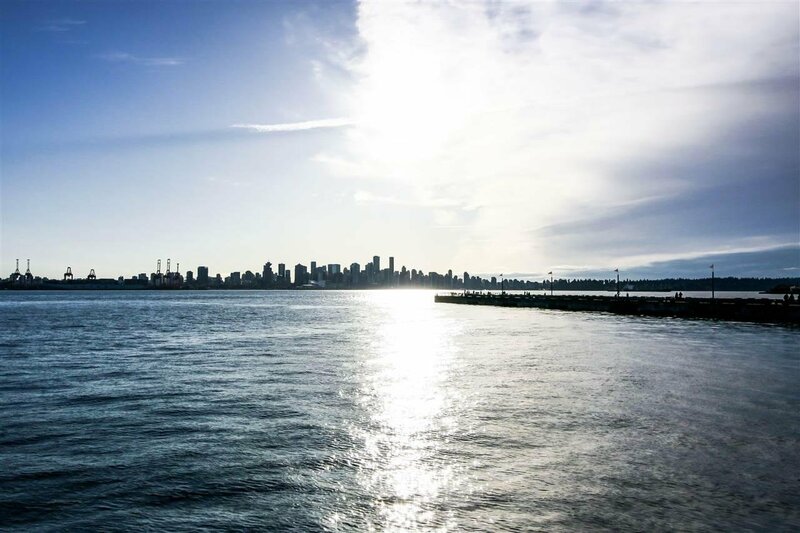 Quick walk to Lonsdale Quay, the SeaBus, the pier, plus several coffee shops and restaurants. 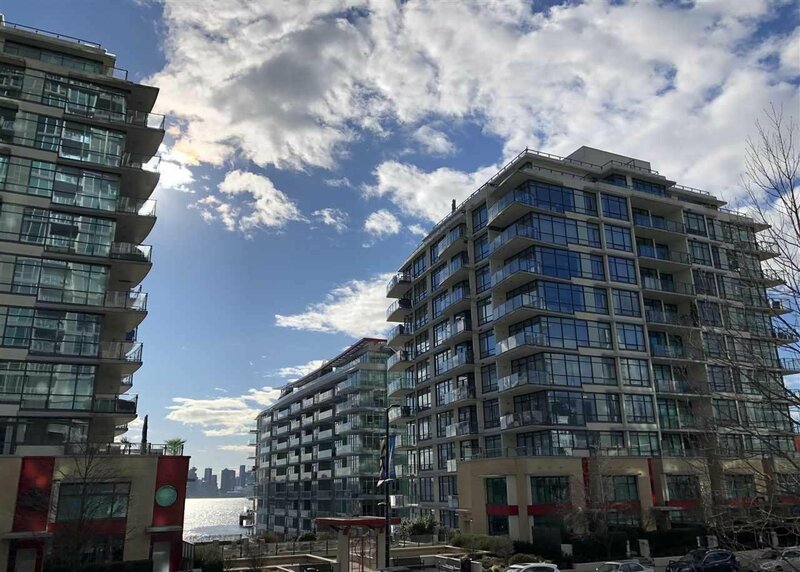 This waterfront community is a great place to call home!